The British actor that’s known for his roles in the serial «The Office» (as Tim Canterbury), the filming of the novel «The Hitchhiker’s Guide to the Galaxy» and the modern adaptation of adventures of Sherlock Holmes and Dr. Watson (as Dr. Watson). Martin grew up under the supervision of three older brothers and sisters. His parents had divorced when he was very young, and Martin lived together with the father up to 7 years. But when the father had died, Martin returned to his mother’s house again. 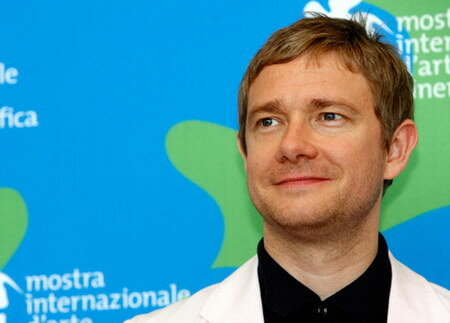 Martin Freeman is a vegetarian, a lefthander. He’s a big fan of the music in the style Soul of the period 60’s and 70’s. His favorite album – «Songs In The Key Of Life» (Stevie Wonder). Martin collects vinyl records buying them in the shop Hendon in north London. As a connoisseur of music, Martin Freeman has hosted several music shows on BBC. He also interviewed Smokey Robinson within the limits of telecast «The Culture Show» on BBC (October, 2009). Celine Dion gave birth two boys another!